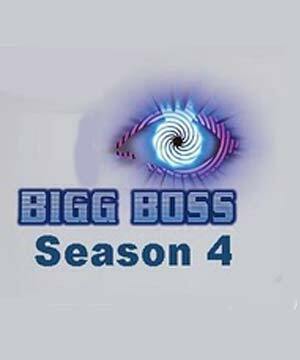 New Delhi, Dec 18 (IANS) Former dacoit Seema Parihar, who became the latest contestant to be ejected from reality show "Bigg Boss" Friday, says the sizzling chemistry Ashmit Patel and Veena Mallik are displaying is the reason for their continued presence in the house. "Even after spending 11 weeks in the 'Bigg Boss' house, I haven't been able to understand the lovely-dovey couple Ashmit and Veena. But what I have understood is that the audience is liking the chemistry between them that they show on the television," Seema told IANS over phone from Mumbai. "I think this is what is working for both of them and if it continues like this then it wouldn't be surprising for them and the audience if the duo makes it till the finale," she said. Even though Seema is out from the reality show, she is all smiles, courtesy the love and affection she has received from the audience. "I don't belong to the glamour industry nor do I live the kind of lifestyle the other contestants are used to, but it makes me feel very happy when I see so many people loving me and accepting me as an individual that I am in real. "I had never thought in the wildest of my dreams that so many people would know me and like me," she added. Seema, who shared most of her time with Shweta Tiwari and Samir Soni on the show, wishes to stay in touch with them. "Out of all the contestants I surely want to be in touch with Shweta and Samir. I have spent a lot of time with them and I believe if we ever meet accidentally, they would be good to me". Asked about the sudden transformation in Dolly Bindra's behaviour, she said: "Of what I can understand, Dolly was real when she came at the start. But now it seems that her family and friends have tried to explain to her about how she should behave and how not to - which is coming across as indigestible for everybody." "But I think she is trying to improve herself and keep a check on her impatient attitude. This is commendable," she added.